Welcome to Wednesday! May you find the beauty around you today! One of my favorite things to eat is salad! I enjoy coming up with new creations! Enjoy this one I created last year! 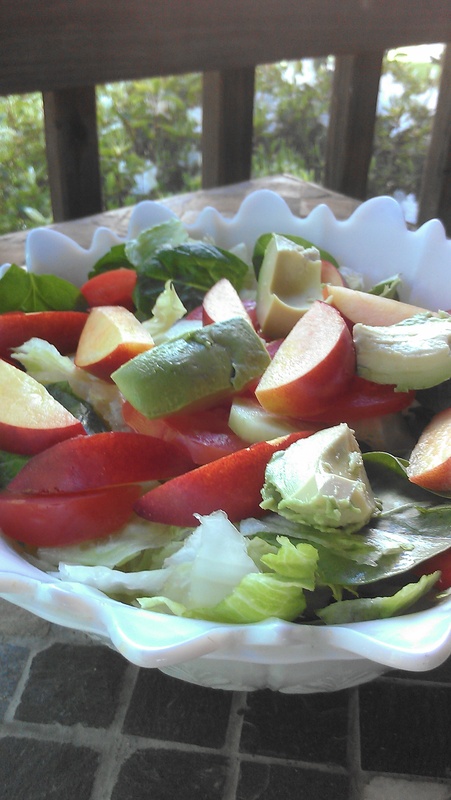 Oil/Vinegar dressing: 1/2 cup olive oil, 1/3 cup salad vinegar, 1 Tsp. sugar, onion powder, salt and pepper. Toss salad ingredients together gently pour dressing over. Delish!